The majority self-injury of cases – some 90 percent – begin in adolescence. While the condition brings temporary relief for a person suffering, it carries a lot of shame and stigma. When helping a person through the trauma of self-injury, listen, don’t judge or act disgusted. 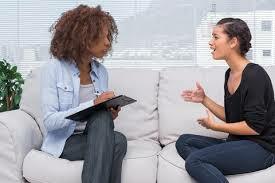 Stay supportive and proactive, drive them to a counselor’s appointment or visit them in treatment when appropriate. Take the opportunity to educate yourself about the condition and the underlying causes that often lead to it. The scars of self-injury/self-harm signal emotional distress and are a way for a person to mirror psychological and physical pain.